We all hit that point where we can’t figure out exactly what we really want to do with our lives. My niece is at that stage in her life. She recently told me she thinks she has definitely made up her mind…she wants to be a teacher. A smile spread across my face when she told me what she is studying…”I’m thinking of going into teaching.” It warms me up inside. She wants to teach the little ones, maybe first or second. Or maybe third. She is not really sure. Definitely the little ones. Just like me. She asked me why I decided to teach elementary. I told her it is because they can’t drive yet. I wanted to find a parking space. 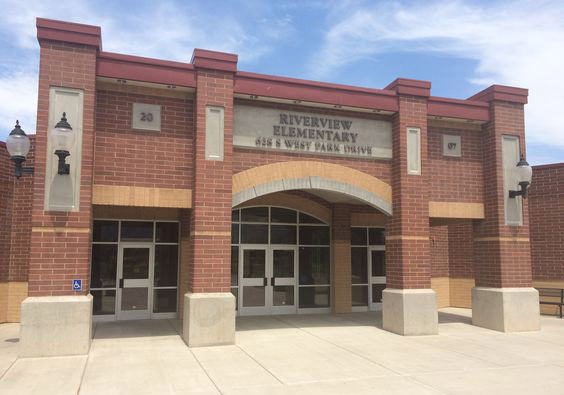 Are you a new parent to Riverview Elementary? Do you know what dismissal time looks like? We need your help to keep the school and your children safe. EVERY child’s safety is important to us. It remains our highest priority to ensure that students enter and exit cars in a safe and organized way. We ask everyone to correctly follow our pick-up and drop-off procedures. Failure to do so creates chaos, frustration and unsafe conditions. Each family should discuss these loading and walking procedures. Thank you for your continuing support in making Riverview a safe environment for all. Students are not to ride bikes on school sidewalks or crosswalks. Students are to be picked-up promptly at dismissal; 2:15 on Mondays, 3:00 Tuesday – Friday. Pull your car as far forward into the loading zone as traffic allows. Drivers may drop-off students along entire length of Loading Zone. Monday, September 17th, school will be dismissed at noon. Lunch will be served at 10:10 a.m. Buses will run normal routes. Please become a member of the Riverview PTA; $6.00 to become a member. You may pay through Venmo @ Riverview-PTA. It made becoming a member super easy for me. September 21st – Riverview Annual Chalk Walk Fundraiser Kick-Off Assembly @ 2:00 p.m.
September 27th – Make Your Mark Assembly @ 9:00 a.m.